We have already talked excessively about the best internal hard drives for PS4 storage upgrade, and we always recommended two hard drives for this purpose: Seagate Firecuda 2.5-inch gaming SSHD [ST2000LX001] as the first selection for every serious user who wants remarkable performance improvement alongside additional storage space, and Seagate BarraCuda 2tb HDD [ST2000LM015] as the second selection for those who care most about storage expansion and put performance boost on the margin. 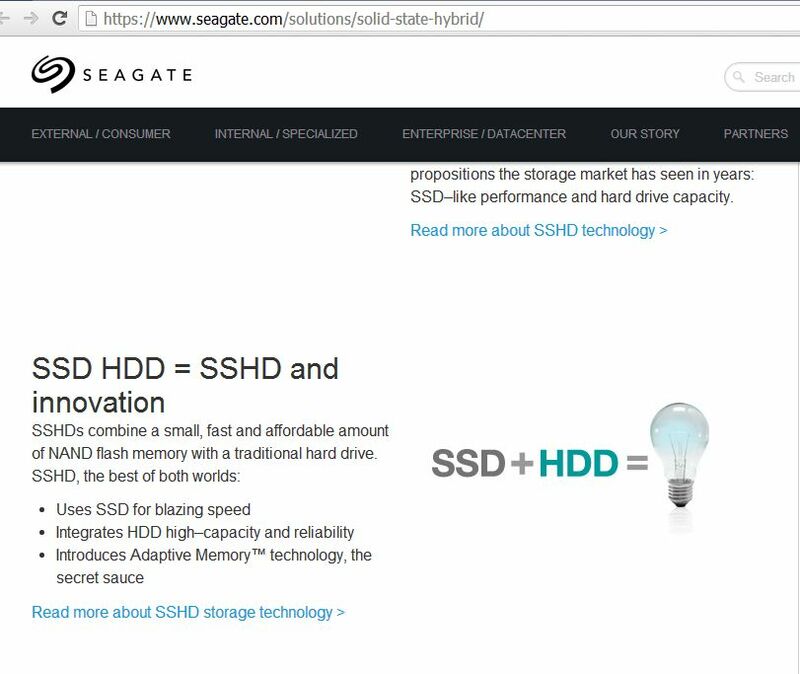 Although any tech savvy would easily distinguish between SSHD and HDD, and realize that Seagate FireCuda is much faster and has superior performance over any traditional hard drive like Seagate Barracuda, I see that many PS4 fanboys are misled by the wrong information about Barracuda HDD presented on Seagate official website and on online retailer websites such as Amazon. This post is made to reveal the truth about this issue and correct the misleading information provided about Barracuda HDD. BarraCuda (now with a capital “C”) is a traditional family among Seagate hard disk drives, usually naming high-performance models. This 2.5 inches model (therefore, aimed on laptops, PS4 and SFF desktop computers) has 5,400 rpm, 128 MiB cache, and SATA-III interface. The family offers capacities from 500 Gb up to 5TB, with the models up to 2 TB being 7 mm tall and the 3 TB and bigger models being 15 mm tall (note that this form factor will not fit PS4 drive cage, which support drives up to 9.5 mm tall). As we discuss the specifications of this drive, it’s important to note that the official page of this drive on Seagate Website, even the one on Amazon, both present misleading information about it by claiming that it has a 2nd tier caching with an SSD memory. We have a solid proof that this is totally wrong. First off, if a classical hard drive has an SSD memory, it will be called SSHD (Solid State Hybrid Drive), and it will no longer be classified as a mere hard drive. Secondly, let’s do a quick investigation on this matter. On the same page, Seagate has gone further by claiming that BarraCuda hard drives offer SSD-like performance, which is only SSHD is described with that, not traditional hard drives. Whereas there’s no mention at all of the SSD-like performance on the FireCuda SSHD official page. Now, let download the official datasheet of this drive and see how it claims that this drive supports multi-tier caching technology. Go to the official page of Seagate Firecuda SSHD. You’ll see that there is NO MENTION at all of the NAND flash memory cache or multi-tier caching technology, although SSHDs are very well known of it. 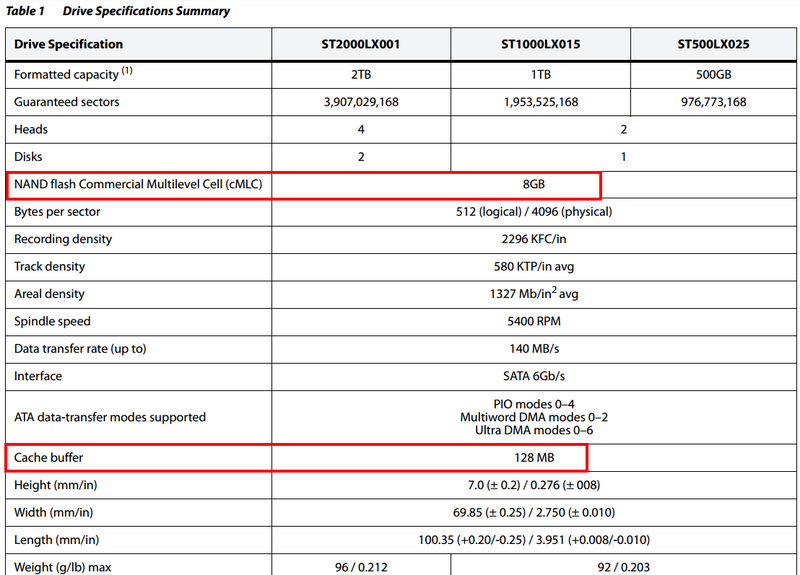 Download the official datasheet of Firecuda SSHD. 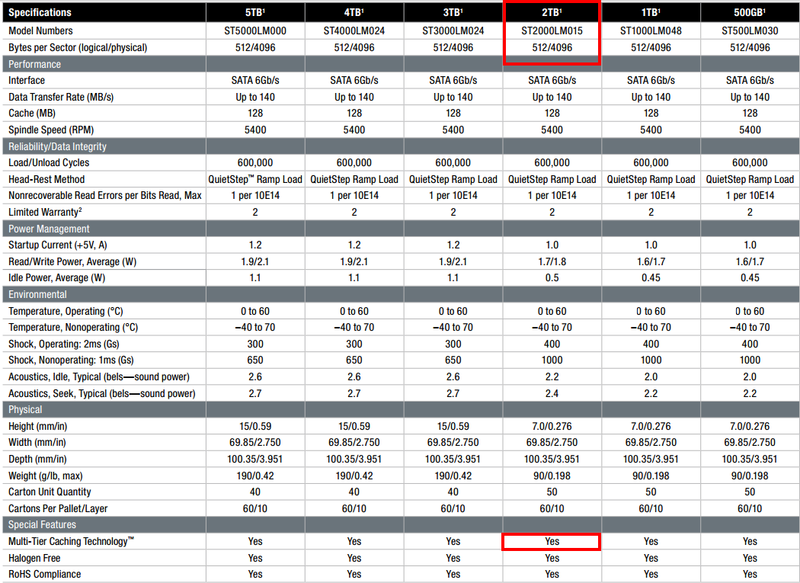 Again, there’s no mention of the 2nd tier SSD caching part. Whereas the datasheet of BarraCuda states it clearly. If you go to the drive’s page on Amazon, you’ll also NOT find any mention for the 2nd tier caching system. That’s all quite strange, and it proves that there’s a serious mistake involved here. Download the user manual of Seagate Barracuda. Go to page 8 where the drive’s specs are located, and you’ll see there’s no mention of any multi-tier caching technology. 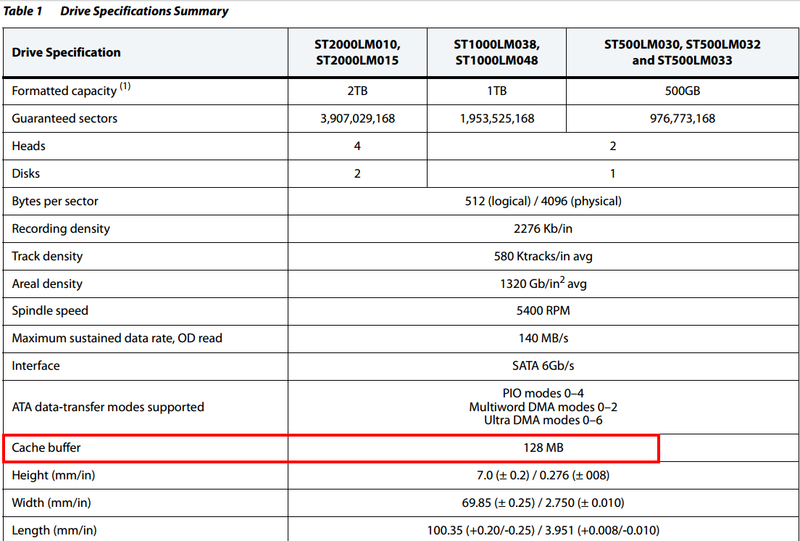 Then, if you go download the user manual of Firecuda SSHD, you’ll find a clear mention of the 2nd-tier NAND flash memory. Yes, big boys do make mistakes, and if you don’t have the sufficient knowledge you’ll easily fall into the trap. When you go upgrade the internal hard drive of PS4, PS4 Pro, or PS4 Slim, I strongly recommend that you get Seagate Firecuda SSHD, as it is the drive that will make the real change to your game console. Don’t go for Seagate Barracuda unless you find the $10 price difference between the two drives justifies it. Thank you for contacting Seagate Support. I apologize for the misleading information. I believe the reason why we had two different information was more than likely due to a typo on our end. Please review the two links I have provided for you and go of that information. I hope this answers your question but if it doesn’t please reply to this email if you require further assistance. We are available from 8:00 AM to 6:00 PM Central time, Monday – Friday. Thank you Branson for your efforts. I really appreciate what you’ve done. Also, thanks again for the screenshot you’ve provided that I will publish on this article as a proof of my claims.